Mr. Jones has been involved in all phases of residential real estate development for over 20 -years. Mr. Jones has either planned, developed, or consulted on over 1,400 units valued at over $200,000,000 and over 200,000 sq. ft. of retail/commercial space. Prior to starting LANDIS, Mr. Jones served as Director of Real Estate development and interim Executive Director of Mission Housing Development. As Director of Real Estate development Mr. Jones supervised and directed project, construction, and architectural staff of 7 in all phases of project development from feasibility to rent-up. Mr. Jones was responsible for successfully completing several new projects and coordinating the completion of over 500 units of housing. 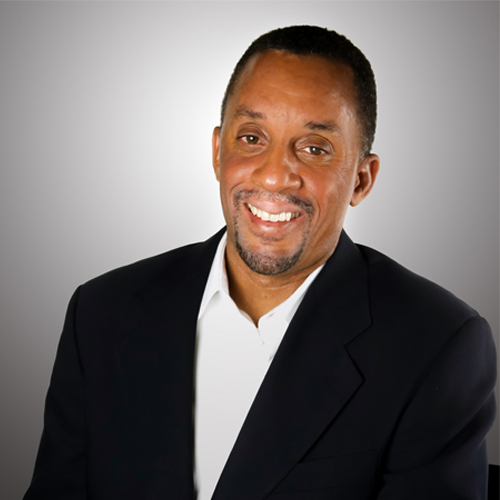 As an Executive Director of two community-based non-profit organizations, Mr. Jones has been responsible for developing and implementing fiscal, program, and management policies. Mr. Jones is an accomplished senior-level developer and project manager with a proven ability to lead project teams, solve complex problems, and efficiently manage the development process in order to deliver projects that support business and financial objectives. Mr. Jones is well-versed in construction, real estate finance having structured a number of complex transactions involving tax exempt bonds, both, public and private placements, interest rate SWAP hedge strategies, tax increment financing, and syndications. Mr. Jones has a Bachelor’s Degree in Business Administration with an emphases in finance and real estate from the University of California, Berkeley, and a Master Degree in Real Estate from the University of Denver. Jai Jennifer oversees the services and investment division and has nearly 20 years of experience in development consulting and financial analysis for office, retail and housing development projects. Mr. Jennifer has held numerous positions with several for-profit entities, including Keyser Marston Associates and Capital Vision Equities. Mr. Jennifer specializes in Transit Oriented Development and has provided consulting services to a variety of clients on TODs, commercial, and retail projects. He possesses more than 15 years of experience in property research, project feasibility, development planning, investment analysis, and project coordination. In addition to his housing development experience, Mr. Jennifer has performed site feasibility, financial analysis, and market feasibility for several office, industrial, retail, and mixed-use projects. Most notably, he has served as financial consultant to the Port of Oakland where he performed a portfolio evaluation for the Commercial Real Estate Division, which included the Jack London Square waterfront and Brooklyn Basin development site. He also served as the financial consultant to the Acquisitions department of the master developer of more than 300,000 square feet of mixed-use development at the Staples Center Arena in Los Angeles. Mr. Jennifer has more than four years of post-graduate training in real estate finance, development and urban policy. He earned his Master of Business Administration from the University of California at Berkeley with a concentration in Real Estate Development, a Master of Arts in Political Science and a Bachelor of Arts degree from the University of Delaware.